Start off your visit on the 3rd (Wed): appreciate the extensive heritage of Piazza del Duomo and then take in the architecture and atmosphere at Duomo di Milano. For photos, other places to visit, and other tourist information, read Milan road trip planner. Chicago, USA to Milan is an approximately 15-hour flight. You can also do a combination of flight and train; or do a combination of train and flight. Due to the time zone difference, you'll lose 7 hours traveling from Chicago to Milan. Traveling from Chicago in April, things will get somewhat warmer in Milan: highs are around 66°F and lows about 46°F. Wrap up your sightseeing by early afternoon on the 3rd (Wed) to allow time for the train ride to Turin. 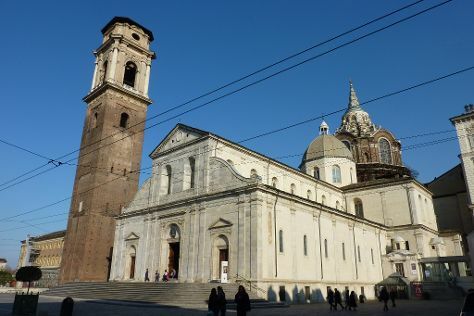 To find more things to do, photos, other places to visit, and other tourist information, use the Turin journey planner . Traveling by train from Milan to Turin takes an hour. Alternatively, you can drive; or take a bus. Traveling from Milan in April, you will find days in Turin are slightly colder (59°F), and nights are about the same (47°F). Wrap up your sightseeing on the 3rd (Wed) to allow time to travel back home.